If you met me three years ago, you knew I had no intentions of going to college. My high school didn’t push college, so I felt as though I didn’t have to apply myself and went straight into the work force after graduation. I can tell you from personal experience that it was not my forte. I struggled a lot with working full time. I worked for a food service company in Waltham and I had to get up at three in the morning to get ready and be at Waltham by six. It was exhausting. I soon realized that this was not for me. I wanted more for myself. I needed to go to college. So, I started applying everywhere…except the Mount. I got rejected from a lot of colleges. It felt awful because I knew college would give me many options. 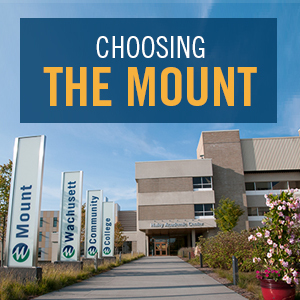 Someone in my family suggested Mount Wachusett to me because they have many opportunities for students who are trying to find their place. So, I applied and got my acceptance letter within a week! I was so excited to be starting a new chapter! When I went in for my SMART Start and to fill out my FAFSA, the staff made everything super easy to understand. They were willing to help me every step of the way. Thanks to the strong relationships I’ve developed with my professors and the one-on-one support they gave me, I have taken advantage of a lot of different kinds of opportunities here at the Mount. I am currently a segmental advisor for the community college system for the Massachusetts Board of Higher Education. I am also the Secretary of the Student Government Association, an MWCC Student Ambassador, and I am currently on track to graduate from MWCC this May. In the fall I will transfer to Bridgewater State. I never would have predicted this when I was in high school, but I’m happy with the way things worked out. In my next post, I’ll be talking with other students who chose the Mount and will discuss their experiences in the Graphic and Interactive Design program. 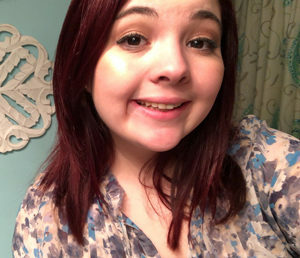 About the Author: Ashley McHugh is a Communications major who will graduate this May. She is a contributing writer for the News Center.